The cup is very rich, gourmand flavors from caramel to toffee rimes with a silky body and some red fruits that caresses your palate, man !! 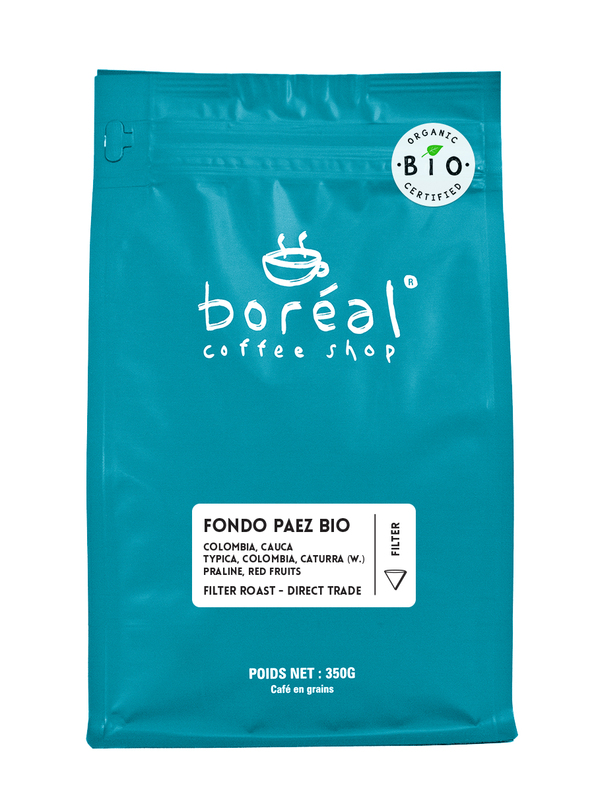 We buy this Organic coffee direct from the cooperative Fondo Paez in Colombia with our colleagues from Roasters United. In 1992 Fondo Paez was founded. Now, the cooperative regroups 550 families on a surface of 500 hectares. This coffee is organic certified by bio-inspecta. Aromatic profile : praline, red fruits, cane sugar. interested in some of our amazing coffees? Subscribe Oops! There's an error. You prefer to buy your coffee in person? Copyright © 2015 - 2019 Boréal Coffee Shop. All rights reserved.